Sure, it's a 55 Buick on the outside. But, when you open the hood, you begin to understand that this car is different. Very different. Comfortably sitting under that hood is one of the finest engines to ever emerge from GM Powertrain. This is the heart of any new car. 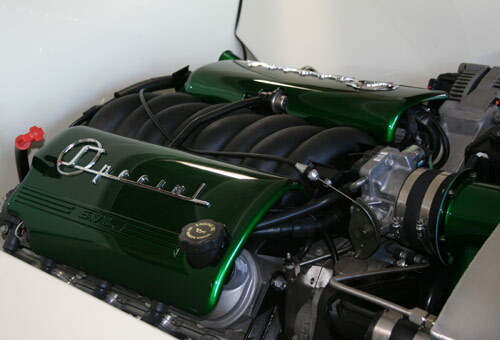 GM Powertrain introduced the LS1 engine, the successor to the legendary small-block V8, in the 1997 Corvette. Now, this heart powers The Buick. The LS1 fulfills some important requirements: It produces plenty of horsepower to move the Buick around, it provides the best available technology, it provides Electronic Fuel Injection that will let the Buick start on the first twist of the key, it provides detailed diagnostic and runtime information to the onboard computer via the OBD-II interface, it is light as a feather (relatively speaking) and, well... It just looks cool. Let's not forget that I can drive the Buick into any GM shop and get it worked on and get over the counter parts. 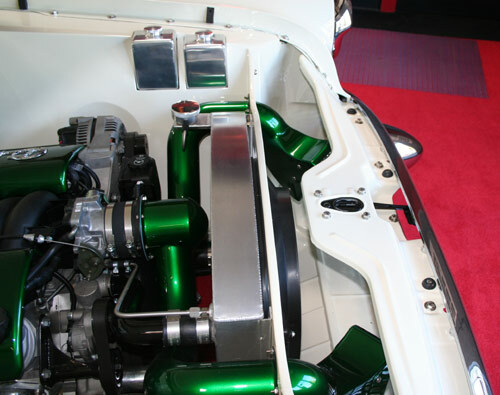 One of the most striking things about the engine is the engine compartment. 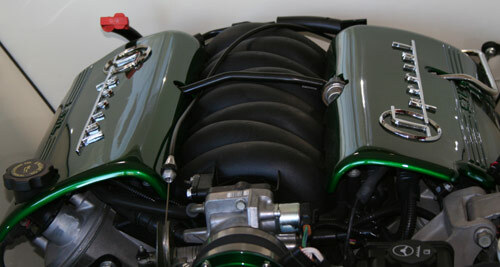 Very much effort and detail went to create the illusion and reality that there is nothing but an engine under the hood. No brake cylinders, no battery, no wires, and nothing to distract you from the awe that is an LS1.